&QUOT;ZILL&QUOT; IS A HADEN SEEDLING SELECTED IN LAKE WORTH, FLORIDA IN 1940. 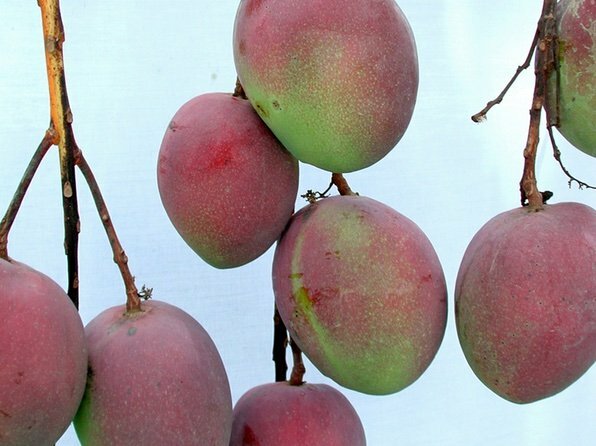 THE FRUIT ARE BORN IN CLUSTERS AND HAVE A TENDANCY TO RIPEN ALL AT THE SAME TIME. THE FLESH IS FIRM ANDJUICY, AND HAS A VERY PLEASANT AROMA. THE FLAVOR IS SWEET, WITH JUST A HINT OF PINEAPPLE. THE FRUIT RIPENS FROM JUNE TO EARLY JULY.